Pusat Sumber SMK Bandar Utama Damansara (3): Merdeka: SMKBU(3) Style! 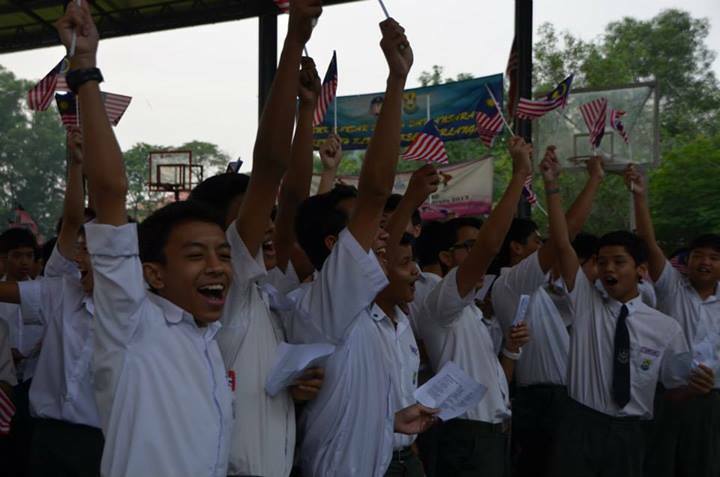 The students really how to get their ROAR on for Malaysia! 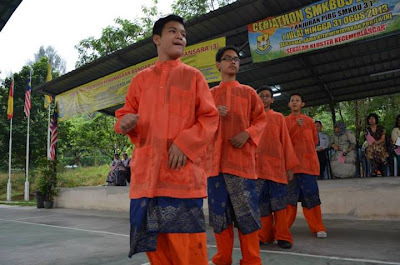 On the 30th of August, SMK BU(3) celebrated Hari Merdeka as it falls on a Saturday this year. (A day early won't hurt anybody!) At 7.25 a.m., when school started, everyone gathered at the multipurpose hall, where the celebrations took place. We started this special occasion by singing the national anthem. Everyone stood up which shows respect to the country. 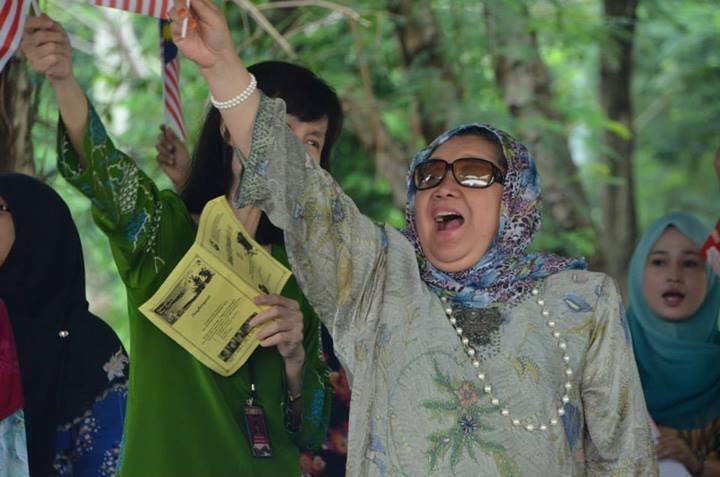 Later that day, our principal, Puan Azizah made a long speech about how Malaysia got our independence. Other teachers also got some time to talk about the point of celebrating Hari Merdeka. After those extensive speeches, it is time for some performance of entertainment. 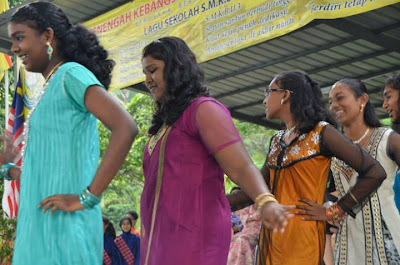 First up, was a graceful dance performed by four boys and four girls. They wore beautiful costumes and they danced gracefully. Student by day, dancer by night! 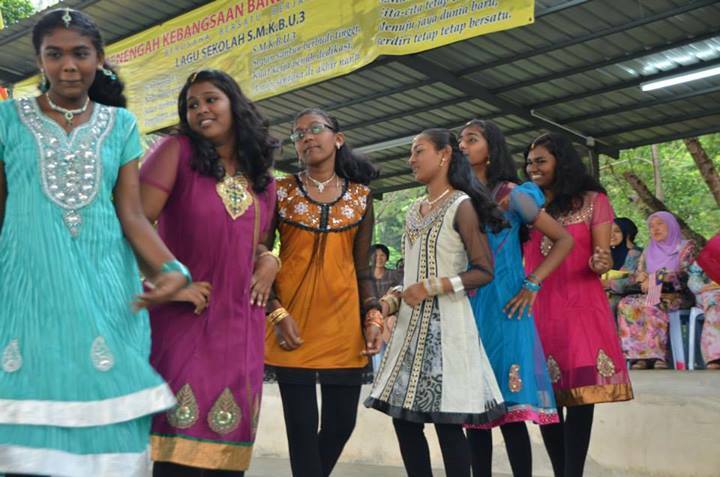 The second performance was performed by a few Indian girls, they did a traditional dance with a modern twist. Upbeat pop music was entwined with the usual traditional Indian instruments. This really got the attention of all the students. The dance routine was fast and rhythmic, It makes one wonder how many hours have the girls gone to perfect these moves. Everybody was in awe and cheered with all their might. 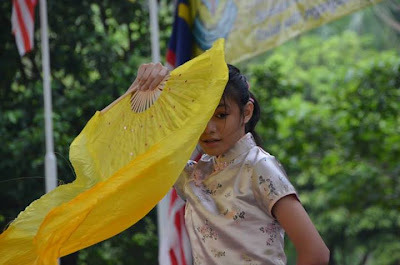 The next performance, was from three Chinese girls performing a fan dance which was quite extraordinary. The Chinese girls wore traditional cheongsams and a shy smile. 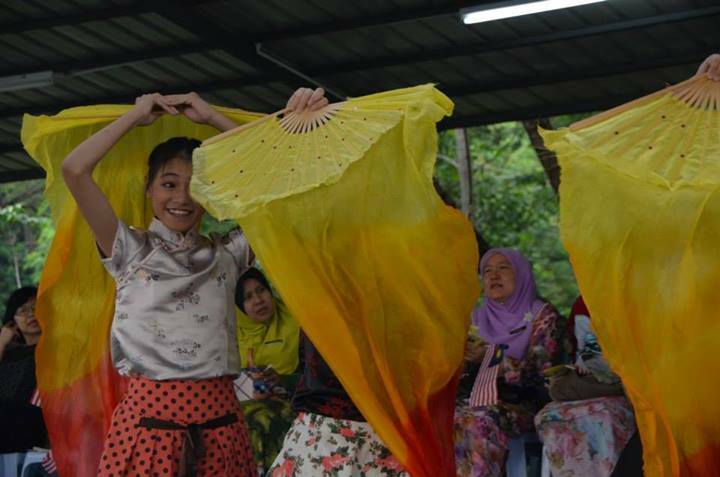 The main focus of their dance was the flowing fans. There was something mesmerizing about how the fans looked like an extension of their arms, gracefully gliding through the air following the melody of the song. It was a beautiful sight to see. The last performance was from our fellow Librarians. They did a comedy sketch, which made the audience laugh out very loudly. 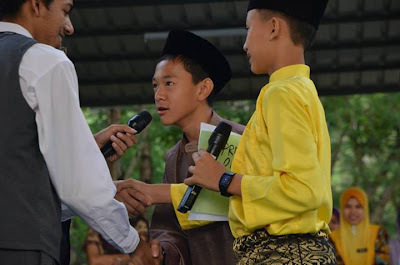 The story is about the adventure of Tunku Abdul Rahman as he gets our independence. 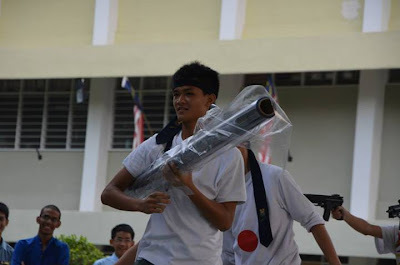 It was a drama with a strong patriotic theme. Of course a drama made by the Librarians is never complete without explosions and cheap jokes. This drama had it all. At the end, teachers and students joined together in laughter that seemed to go on forever. 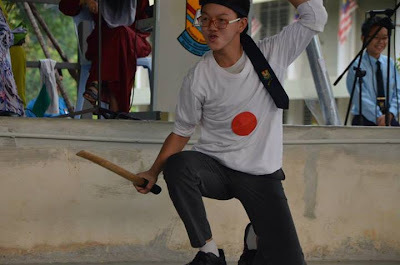 The Japanese have invaded Malaya! The Japanese Occupation was never without violence and guns. 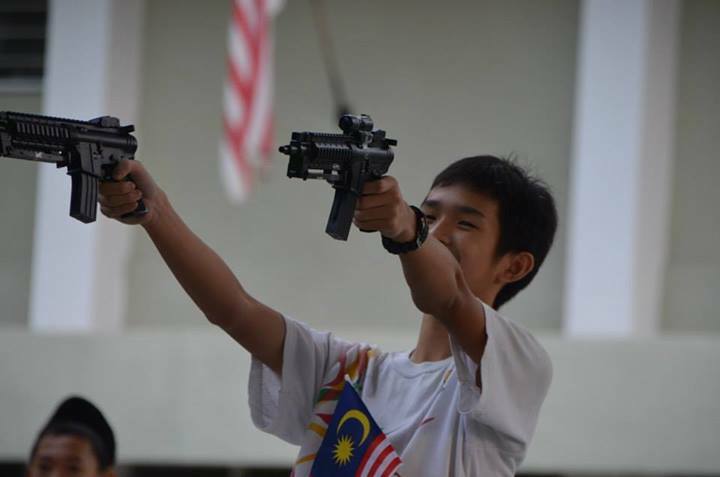 Lots of guns. After all the performance, it was time for us to go back to our respective classes. 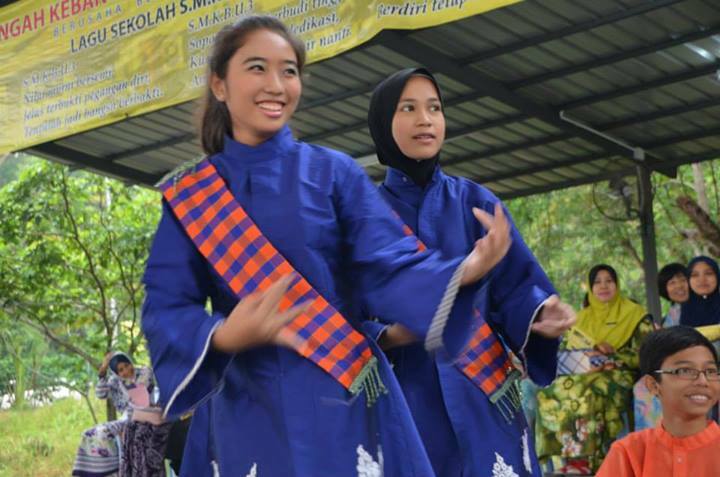 Everyone enjoyed that all the beautiful performances, going back to our classes with smiling faces. After the wondrous celebration, I've come to conclude that Malaysia is a country of variety, which consists of different races, different music, different dances but yet we can all join together in humble patriotism and even laughter!